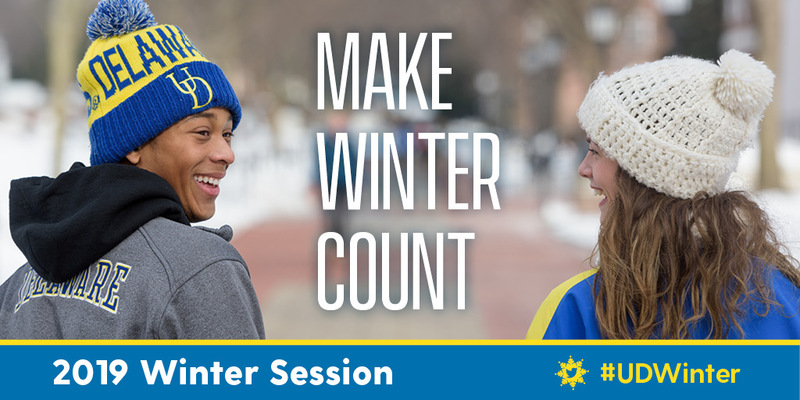 The University of Delaware’s Winter Session registration is now open for any student who wants to make their winter ‘count’ by earning credits during break. Winter Session, the five-week term between fall and spring semesters, gives students the opportunity to earn up to seven credits in a condensed format. Approximately 500 undergraduate and 50 graduate courses are available during the day or evening on a wide variety of topics. There are also online classes that can be taken anywhere a student may be.